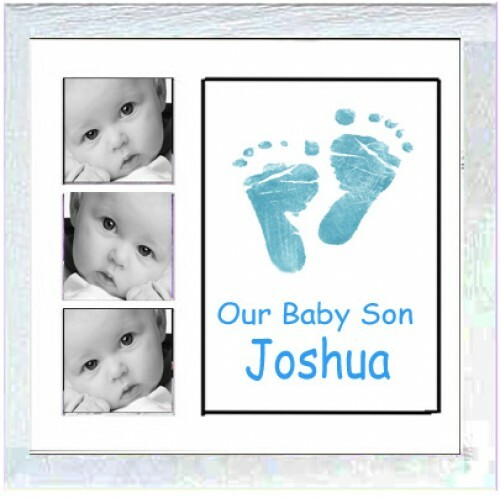 A Keepsake Creation – You take the baby hand or footprints at home and send them back to us & we create your beautiful keepsake especially for you. This is a really stunning, luxury baby keepsake, we create this for you using your baby's hand prints or footprints, so it is totally unique to you and it makes an ideal new baby gift or a unique gift for a first bithday. The baby footprints or baby hand prints are really detailed and the kits we supply to take the prints will capture lots of detail for you, this is an easy way of creating a really beautiful and striking, professionally-finished baby keepsake for you, when you purchase this item, we send you a FREE inkless wipe kit and you capture your child’s / baby's hand &/or footprints, we can then change the colour of your prints, fill in any missing bits and get rid of any smudges, and create a beautiful, unique, luxury keepsake for you. Simply return the hand and foot prints via email or post and include a single photo, or 3 separate photos (this is your choice) and the personal information that is to be included in your personalised keepsake and then we will resize the photos for you (we will assume that you have sought the necessary permissions to reproduce any original photos) and then we will create a special keepsake made exclusively for you. 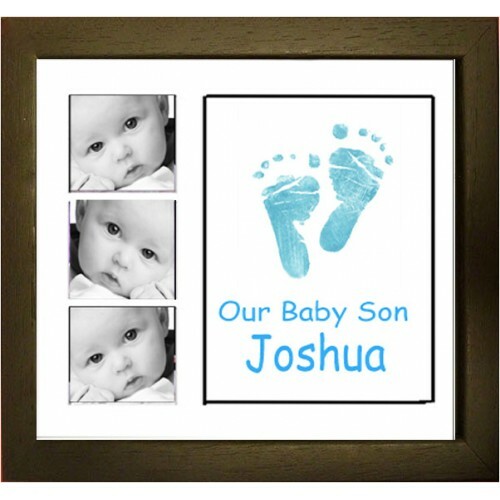 These gorgeous hand and footprint keepsakes come framed in a wooden frame, this is available in a choice of natural, black or white wood and the glass size of the frame is 12”x12” (304mm x 304mm), which is a lovely size to make a real statement piece, a perfect way to capture a memory & baby hand prints or footprints are so unique that each piece is a genuine work of art. This keepsake is normally completed within 10 days of receiving the completed prints back. If you already have the prints that you wish us to use to create your keepsake then this button will only enable you to upload one image, if you have more than one image then please email them to us at admin@borrowedmoments.co.uk adding the name required to go alongside each print with each image. Please ensure that you include your name and order number with any emails so we can match them up with your order. 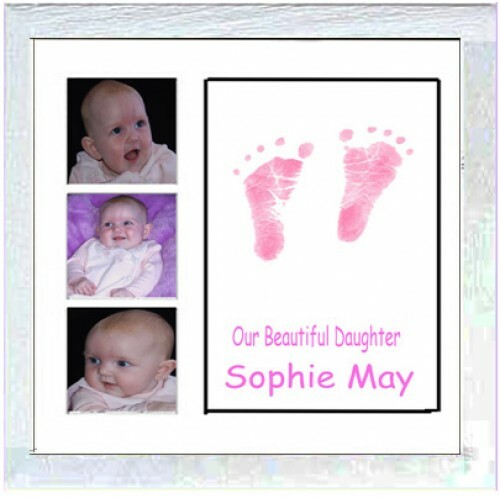 This is another beautiful keepsake service that we offer, initially we send you the prints for you t..
A Keepsake Creation – Upload your photo and we will create your beautiful Photo frame keepsake, Happ.. 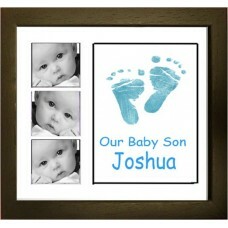 This is another beautiful keepsake service that we offer, using your baby prints to make up the word..